This project consisted of constructing a 20’ by 40” Caltrans approved bridge composed of precast, prestressed concrete voided slabs and paved with an asphalt wearing surface. The slabs bear on new cast-in-place concrete abutments supported on spread footings. The completed bridge is capable of passing the 100 year flood with one foot of freeboard. 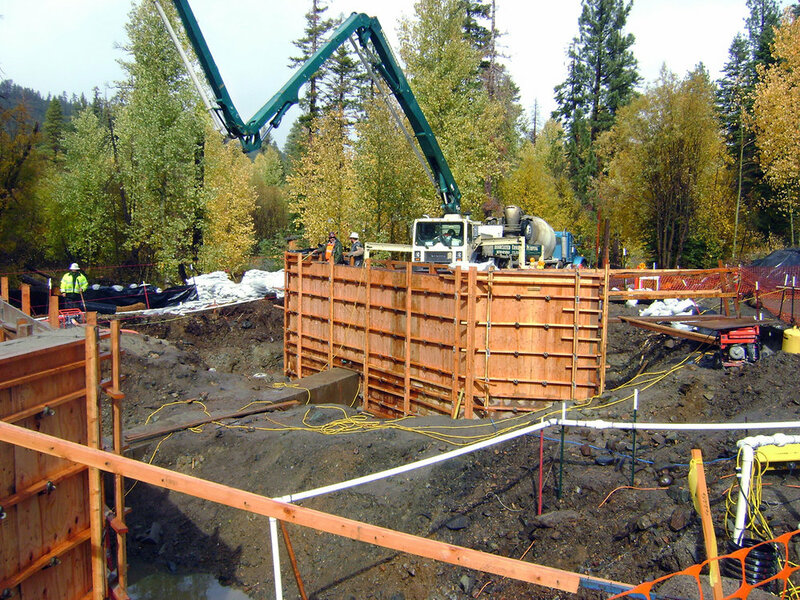 Work included a stream bypass and restoration in environmentally sensitive area involving Lahontan Regional Water Quality Control Board, Tahoe Regional Planning Agency and Fish & Game. Change order work consisted of winterization costs and additional work requested by the owner.